Police say a minor was critically injured and a woman arrested following a hit-and-run collision in Oakland. Laura Malpert reports. 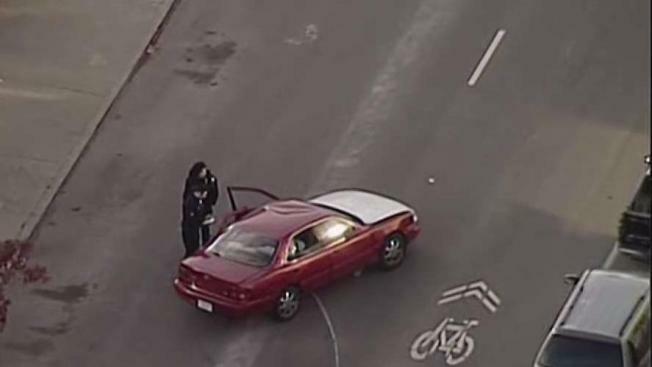 A minor is in critical condition following a hit-and-run collision in Oakland, police said. The incident was reported just before 1:30 p.m. Friday in the 800 block of E. 15th Street. When officers arrived on scene they located the victim, who was suffering from major injuries. The victim was transported to a hospital. Police said another crash was reported around the same time in the 400 block of Foothill Boulevard. The incident appeared to be related to the hit-and-run incident involving the suspect vehicle, according to police. Information from a preliminary investigation led officer to locate and arrest a woman in connection to the hit-and-run crash. Police said it is unknown if alcohol or drugs were a factor in the collision. Police added speed appears to be a factor in the crash.